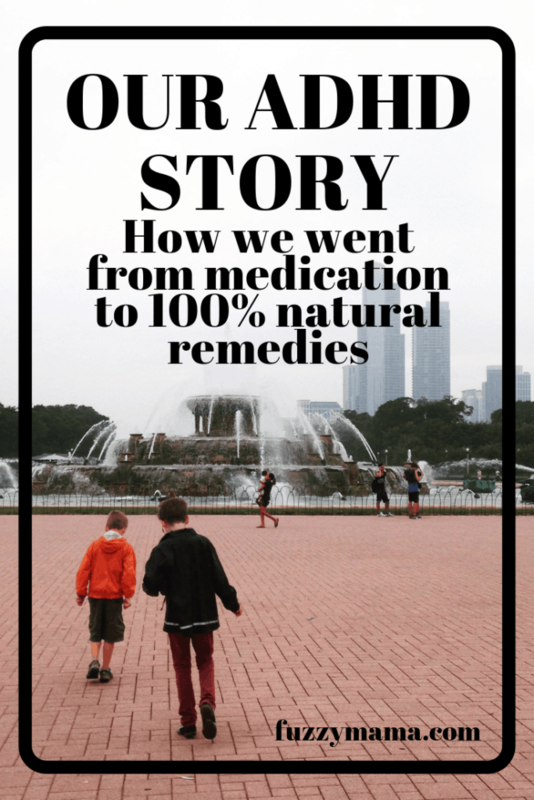 This is the first installment of a two part series about our journey from ADHD medication to 100% natural remedies for ADHD.You’ll find a link to Part Two at the end of this post. Everyone’s ADHD story is different. And yet, there are many, many common threads between all of us parents dealing with challenging children. Sometimes we are in denial. Yet, we can also feel a deep, deep love for our child. An appreciation for their strengths. Pride for their talents. This range of emotions may be what we have most in common. I started my blog to create an honest and inspiring place to help you on your journey with your amazing and sometimes, “challenging” children. 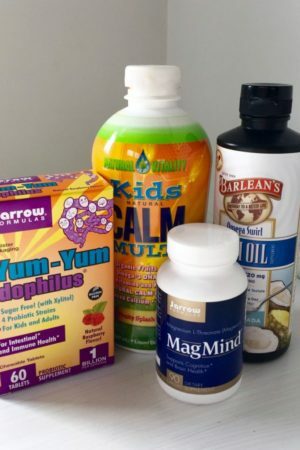 I focus on the natural remedies for adhd that have worked for us. 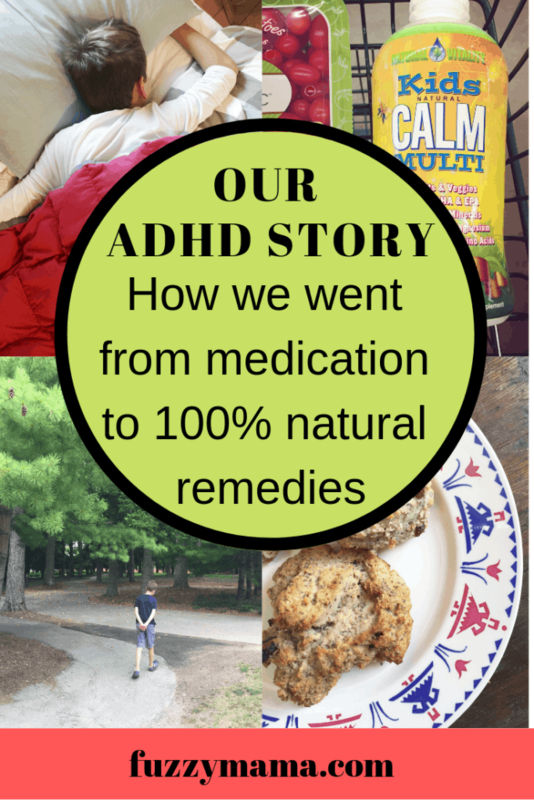 I’ve never shared our story before of how my kids came to be diagnosed with ADHD, our trials with meds, and our eventual path with natural remedies for ADHD. My kids are older now and I do want to preserve some of their anonymity, so while I am leaving out some of the details, I am leaving in all the things we have tried, what worked and what did not. You’ll see our road has been long and varied. 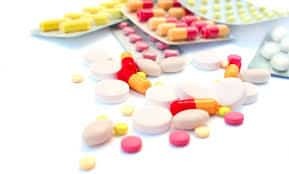 I’ve tried loads of things-from 6 or 7 kinds of meds to a host of natural supplements and ADHD remedies for. Maybe I can save you some time and you can learn from both my mistakes and my wins. I know many of you will find some of your own story in this. I hope it brings you comfort in knowing you are not alone. My oldest son was not diagnosed with ADHD until 4th grade. But in retrospect, I had seen many of the typical signs. As a baby and toddler he was active and busy. I often felt exhausted because he needed a lot of attention. But toddlers do that, you know. I had no comparison, he was my first. He was also kind and loving and chatty. He started talking full sentences at 18 months and would talk with anyone, anywhere — still one of his gifts. He played well in groups, never had tantrums and was an overall cheerful toddler. My oldest was(and still is) extremely sensitive and hated loud noises — the garbage truck or street sweeper would send him running to the back of the house. He attended a small, play-based preschool and loved it. I began to notice how screens affected him. We kept all screens off until he turned 2. And then I noticed that screens and him did not mix. Rather than be a calming time, a tv show would ramp him up. The 1/2 hour break I got while he watched a show was not worth what happened afterwards. So we limited screens. He rarely had iPad time and never was introduced to “educational” video games. Looking back this was such good instinctual move on my part. I am so glad we made this decision. I truly believe that is one of the things that helped him the most and is some of the reason why he had such a late diagnosis. I am still a huge fan of Kim John Payne, but it was his book, Simplicity Parenting that really shaped our early days. I see now just how beneficial it was to simplify things for both of my boys. In retrospect, this is another pivotal move on my part when my son was young. I look back now and realize that it was because we kept things simple at home — no screens, lots of sleep, I did not overload our schedule — that both my sons did not exhibit many signs of ADHD early on. Sleep and minimizing screens are two of the best natural treatments for adhd. The first signs something wasn’t right. I could see the anxiety roll thru his body and exit out his tightened little fists. For the first time in his life, he resisted, got angry at me. He yelled. Clenched his teeth and growled a big angry growl. I did what any semi-controlling, teacher/ mother would do, I pushed him more. Maybe he just needed more practice, I thought. Things didn’t get better. My son’s outbursts became bigger and scarier to me. Luckily, they were only happening at home, but I still did not know how to handle them. Consequences and punishments did not work and only made things worse. I enrolled my kids in a Montessori School. I concluded that public school was not a match for my son and he transferred after first grade to a Montessori school with his then Kindergarten-aged brother. The school was great fit in many ways. The pressure of grades was not there, days included plenty of outdoor time, the curriculum was interest based. My values felt akin to the other parents. But kids have to be self motivated enough to resist constant socializing – and he was not. He talked all day – which is not such a bad thing, but his work was suffering because of it. Going back to work full time was a big change. Work made me more stressed out. I yelled more. Our life seemed too busy. 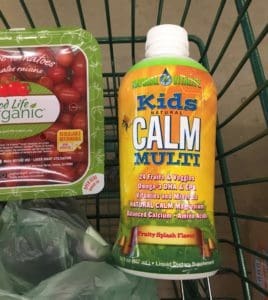 I was not able to be as calm in the face of my son’s anxiety and outbursts. Mornings and evenings felt more rushed for sure. It was a vicious cycle – work more to pay for school – work makes me more stressed, kids get more stressed…..and so it continued…..
We noticed a change with certain food. My son seemed to crave bread, cakes, and cookies. We noticed his behavior would worsen at parties or gatherings where he’d almost OD on this stuff. We stopped eating gluten and went really low on sugar. It definitely helped, but not enough. His outbursts at home continued, just perhaps not as frequently. They could happen during morning and evening transition times. They might happen when he was asked to do something he didn’t like (chores). They happened when I served food he hated. We started the testing process. His teachers filled out the forms and we waited for the results. I felt isolated, helpless, uninformed. At home, he could still be explosive. He’d get angry about seemingly small things. He would yell at us, throw things and sometimes seemed to be out of control. I was grasping at straws most of the time. Was this ADHD? Anxiety? Was I doing something wrong as a mother? We sought the help of a therapist. The first therapist answered his mobile phone during a session to talk sweet nothings to his wife. The second one moved away. The third one had a baby. 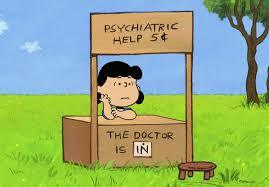 I called and left a message for a now, fourth therapist who sounded great. I must have sounded desperate. She called me back immediately and we set a time to meet. She was a much better fit and we learned a lot from her. She taught me that my reaction as a parent can really steer the situation. She introduced us to Ross Greene. I read The Explosive Child, by Ross Greene. Just as pivotal for me as Simplicity Parenting, Ross Greene’s, The Explosive Child teaches a collaborative way to solve problems with your child. Dr. Greene looks at behavior as communication, not as just good or bad. His process of collaborative problem solving is effective and teaches great communication skills to adults and children alike. The process takes work, lots of work. But I started to explore the ideas in the book and they made So. Much. Sense. I am lucky to have a friend who walked a similar path as me, about 10 years before me. I only wish I had known what she was going thru at the time. It can be hard to talk about this with people who don’t understand. My friend pulled some strings and we got in quickly to see a “great psychiatrist” who interpreted the test results. Getting an appointment can take months, we got one in weeks. Yep, my son “fell squarely into the category of ADHD” and many of the signs of anxiety. The first of a long line of drug trials. I thought the doctors knew what was best. I wanted the behaviors to go away. I felt helpless and could not believe what was happening. I asked myself so many questions and blamed myself at times. Maybe I just can’t handle an active child? I researched and read like crazy. 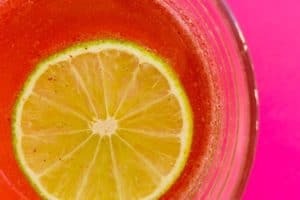 I started listening to podcasts, researching about food, and other natural ways to improve. There had to be a reason behind this. I was adamant about finding a root cause. Somewhere in here we started supplements. I researched like crazy on the web and found out more about supplements. We started taking a great fish oil and a high-quality multi. I rubbed magnesium on my sons feet to make him sleep better. In conjunction with the good food, things were a bit better. I felt like we were making some headway. We switched back to public school in 5th grade for many reasons. I wanted my son to experience grades and thought maybe it would improve his work habits. I also had to stop working five days a week. I was frazzled. The decision was easier now that I would not have to pay for private school. I was lucky enough to go part time at my Montessori School. My stress level dipped much lower. I was less busy, more present with my kids. I do feel like it takes time to land on a good one. And sometimes you outgrow a therapist — like you use up everything they have for you and grow only as much as they are going to help you grow. The fifth one was a therapist from the practice where my kids were tested. He came highly recommended, I thought a man might lend a different perspective. He did. But not in a good way. He proposed sticker charts and punishments. We focused solely on behavior. We stayed with him too long. My son’s episodes would worsen when we tried his techniques. The therapist proposed forcing my son to sit on the sofa for thirty minutes when he lashed out. I can’t even believe we actually tried this, but we did. You can imagine how it went. This approach only prolonged and worsened my son’s behavior. His behavior would ramp up with each additional punishment or consequence. It’s so hard when your kids are going thru this — I questioned my instinct and thought other’s might know how to better handle my child. But, soon I began to see that we were focusing on the behavior, rather than what was causing the behavior in the first place. I picked up The Explosive Child again and decided we had to find another therapist. We were still trying figure out meds. We switched meds several times, landing on Focalin. Focalin helped my son at school to a degree — he got amazing grades. But, he also displayed nervous behaviors, biting his lips, wringing his hands. The explosions at home did not stop. He would be extremely aggressive with his brother, and also with us. Morning and nights were filled quite regularly with explosive episodes. I started to question the meds. Could these episodes be a side effect of the very drug we gave to try and help? It was around this time we started my younger son on the road to getting tested. He was not explosive at all — just the opposite. He’d be hard to rouse and get moving, he’d get “lost” in his room when I’d send him up to get his shoes — 15 minutes later he’d still be playing in his room, still no shoes. My youngest struggled more at school. Hated to write — anything. Tears and drama would ensue when he had to write a journal entry, a thank you note, a grocery list. My boys could not be more different in their presentations of ADHD. I was so surprised that my second son was diagnosed with ADHD and not ADD. When I questioned the test administrator, she said it had to do with the fact that his teacher reported he got up out of his seat a lot. No one took into account that he had just transferred from a Montessori school where kids are not glued to a seat all day. Having a second child go thru the process brought a lot to light. The testing process is not seamless. Far from it. There just are no definitive tests for ADHD. As time went on, I had even more questions. What exactly is ADHD? Why are so many kids getting the diagnosis? How can it the symptoms be so different from kid to kid? We really have to look at our kids as individuals. As parents we have to investigate, ask questions, experiment and ask more questions. Research. Talk about this. Find people who are going thru the same thing. Ask more questions…you see the pattern? Part Two is here…you’ll see how and why we stopped meds completely, what we learned from our sixth and current therapist and a type of Physical Therapy that is really working for us now. Read Part Two now or Pin below for later.There really is much more to tell! Keeping things simple, including minimal screens helped. 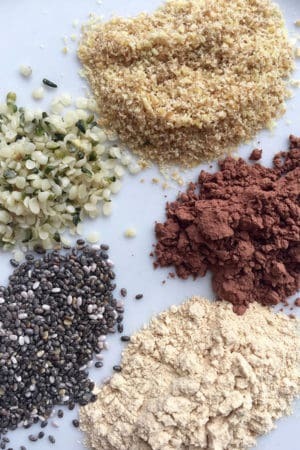 Good food mattered, especially going g-free and low sugar. Supplements – fish oil and a good multi – worked, too. Taking care of my stress level and my reactions was big. The meds may do more harm than good. 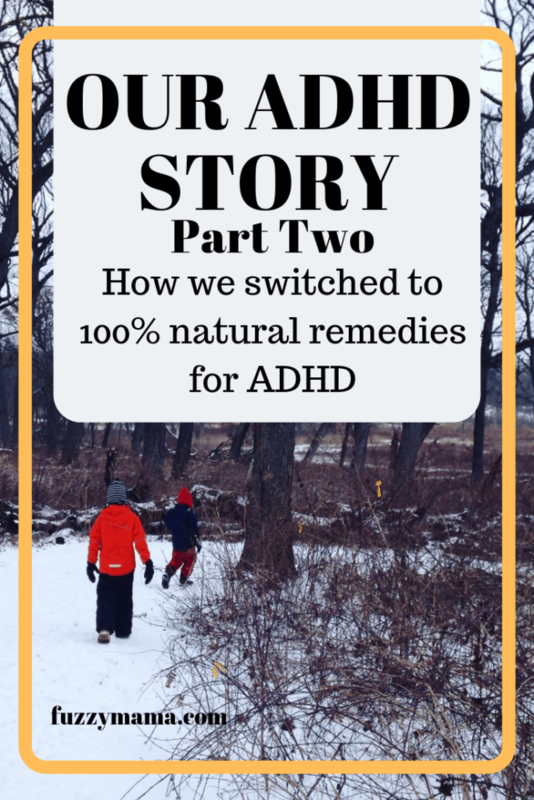 Part Two of Our ADHD Story is HERE….I recap how we finally got med-free and what else we are doing to help my son’s explosive outbursts. Sign up for my mailing list in the side bar to make sure you don’t miss anymore. 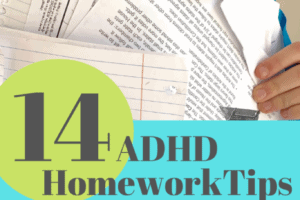 If you need more, I’ve compiled all this information and so many more strategies for ADHD in a guide of my very best of what’s worked for us over the past 10 years. Just click on the link below. Thank people like you for sharing your story. Helps to know others are out there. My son is 6 and I felt like we were the only ones dealing with the angry outbursts! It’s hard to see such a young boy so angry and full of anxiety. 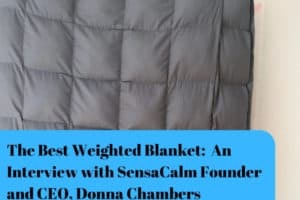 We already do the calm kids supplement but we have purchased the rest and the weighted blanket after reading. Here’s to it helping! Thank you again! Hi Brandy! I know, it can be so isolating. Rest assured there are many parents out there dealing with these same issues and the more we talk about it openly, the more people we can comfort. 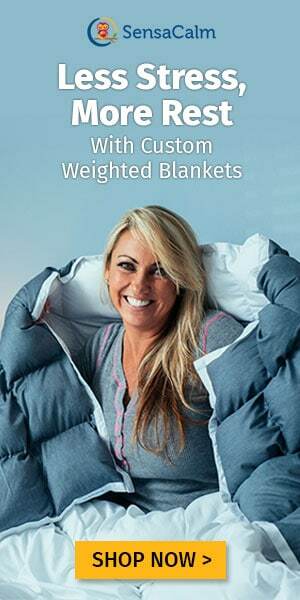 Let me know how the blanket works! I’m sitting here in bed it’s 5:35am and I’ve just read part 1 and 2 of you blog. Found via pinterest. Been trawling through stuff since 3:43 am. So pleased I found your link. I can now relate some of my sons behaviour to this and try some of your recomendations. Early days at the moment as my son is only 3 in 4 months time. Don’t want to diagnose or label at the moment. Dont know at what age to look towards a diagnosis either. We keep being told it’s just the terrible two’s, he’s our only child so we have no previous comparison, but observing other little people around us we can’t find any comparison. Extreme terrible twos then! He’s awesome when calm, been talking since 16 months, very bright, hyper but seems to be kicking off 95% of the time. Bed time is a war zone in our home, both working parents so can’t start settling until around 7pm, rarely asleep before 9:30, usually around 10 before he’s asleep. Gets up early too, full on all day, needs a lot of stimulation and hard to keep focused, both attentive parents but he’s taking his tole on both of us, mum is really having a hard time as part time and deals with more of the outbursts. Sorry for life story! Your doing an awesome job sharing your experiences, thank you. I’ve signed up and will be reading your guide I’ve just downloaded. Sean, Sending you a virtual hug. These can be tough times, so great of you to be thinking of all of this now. Yes, 3 is so young….ADHD is a developmental issue and things are still sorting themselves out when kids are young. I’d really prioritize movement and sleep at this point. I have a post coming out about reflex integration in a week or so, but check out the work of Sonia Story in the meantime. Two working parents is hard, try bedtime a bit earlier each night, if you can. 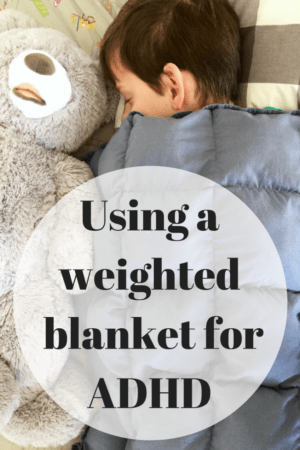 I know it sounds weird, but sometimes kids can fall asleep earlier easier…once they get overtired they can’t calm themselves down to drift off. I remember putting my son to bed an hour earlier and it was so much easier.Sleep begets sleep. You’re doing a great job! My son started talking so young, too…and frankly, hasn’t stopped. : P He is lucky to have you! Please check back in and let me know how things are going. Thank you for your kind words and encouragement. Your book recomendation The Explosive Child has arrived today so I’ll be getting stuck into that now. We’re also going to journal the outbursts to get a detached perspective on the actual frequency and time of the outbursts. I think when your in it and trying to work with the situations your perspective can become distorted. I’ll let you know how we get on and will keep checking in on your site for new updates. Great! 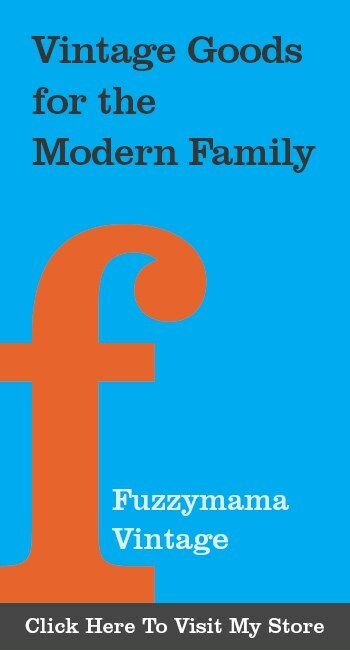 Do let me know how you like the book. The Lives in the Balance website has a ton of info and his podcasts are really great, too. The CPS model can be tricky at first, we get a lot of help from our therapist who is trained in the method. I love that we look beyond the behaviors(our therapist says think of the behaviors like a barking dog – crude comparison,but he just means its a cry for help. I think of it like my is speaking a foreign language. )we treated the behaviors for years and got nowhere. Greene’s other books are in my queue, too! Keep in touch. Thanks for reading! Let me know how it goes. Screen time is a big thing for us…I can totally tell when we are using screen too much.